Latitude offers a complete suite of solutions for FOQA: manufacturing data recorders, developing software and presenting analysis expertise. Ideally suited to be your partner in implementing a successful program, Latitude is here to help increase your operational efficiency and improve safety. Our products and services are designed to complement one another while providing a complete FOQA solution; however, they can stand alone and fit within any preexisting FOQA program that you may be operating. 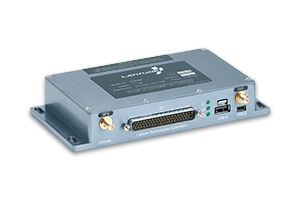 Latitude can assist operators with all stages of a FOQA or FDM program. It is our belief that for maximum benefit from a FOQA program the operator should be closely involved in the analysis of the data – which we are pleased to be able to assist in setting up and introducing a program so that our clients can gradually take complete ownership. Our IONode Lightweight Flight Data Recorder is the ideal data collection system for FOQA. With a large internal storage, three methods of offload and a wide range of external inputs and internal sensors, the IONode can enable a high-quality FOQA program on a wide range of aircraft types. We provide excellent data capture on a fully analog aircraft, as well as aircraft with digital data busses. WiFi offload allows for regular data transmission to Latitudes servers without pilot or mechanic action. Alternatively, Latitude can use flight data from a QAR or G1000 system as an input into our FOQA software (LFDA). Latitude’s industry-first web-based flight data analysis service (LFDA) is a full-featured flight data monitoring system. Enabling secure access and viewing for all of your organization’s flight data in a simple, fully hosted package. We take care of routine system administration and data formatting/decoding, providing an excellent platform for your safety team to focus on only what they require. LFDA is used for event detection allowing clients to perform their own validation and trend analysis of the data. Latitude believes that this is the ideal service delivery method as the operator can be familiar with their data and brings their understanding of their own operating environment to the analysis. Training is available to support successful program implementation. Latitude takes care of ensuring that data is stored securely, backed up, providing data decoding and event detection, leaving the customer with only the critical task of analysis. Although LFDA is a full-featured system, there are occasions when operators must consume their flight data into other systems either for FOQA or for additional purposes. Latitude has a considerable wealth of experience in restructuring and packaging data for automatic delivery to third-party services for further analysis. For example, operators with a large fleet and existing FOQA programs can expand their program to aircraft without digital data busses by installing an IONode and having the data forwarded to their existing provider. Latitude has existing relationships with experienced data analysists who can analyze your flight data and provide monthly reports and interpretation of the FOQA program to your fight operations department. Our analysts will advise of event set creating and threshold setting. Validating events as they are generated and presenting the findings to your flight ops team. This provides you with an experienced FOQA resource and programs with minimal organizational impact. This option is ideal for an operator who has a contract requirement to satisfy and not enough need for a full-time FOQA manager. Latitude Flight Data Analytics is our complete web-based system for storing, viewing, managing and analyzing flight data to support your operations. 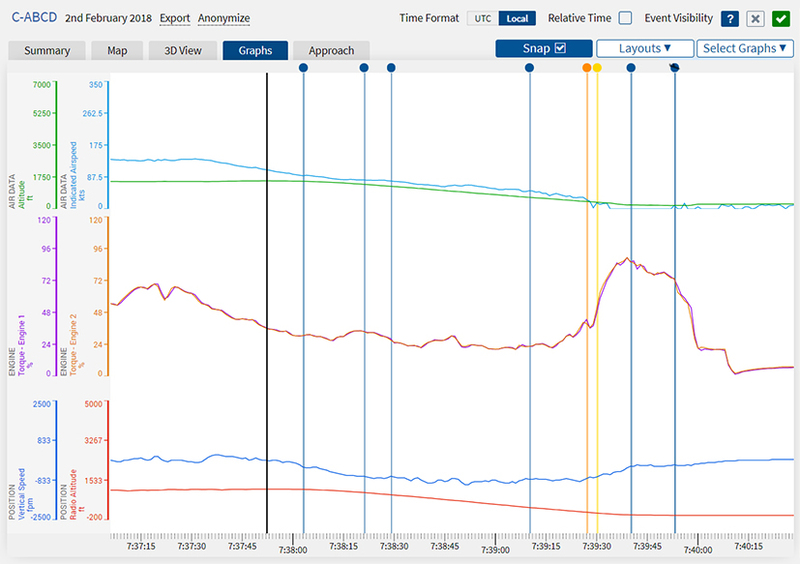 View data from past and recent flights while setting event thresholds to report exceedances on a real-time and post-flight basis, and more.